Mercury goes direct in Capricorn on Friday, 1/15/10 at 8:51 AM PST. Your ideas, research, ruminations and revisions now can bear fruit. As you harness the energy of determined, goal-setting Capricorn, your dreams have the chance to become manifest. Mercury Retrograde: What’s to Love? Here it is again…like taxes and death–Mercury goes retrograde. Everyone groans and shudders in horror, hoping that flights aren’t canceled or delayed, that their computer doesn’t have a breakdown or there won’t be a communication glitch with their sweetheart or co-worker. Mercury sure does get a bad rap when it takes a powder from business-as-usual. But whether you like it or not, it goes retro 3 times a year, 3 weeks at a time. And when the cosmic traffic cop isn’t doing his normal job directing the flow of information, he’s chillin’. We should be, too. During Mercury retrograde it’s time to slow down. To rethink, revise, reinvent, and recreate. Off-duty Mercury is a reminder to stop initiating and begin looking backwards at what we’ve already accomplished. Refine and redefine. Relax. I figure Mercury must be French, because it’s a requirement in that country to take time off. Once it goes direct, it’s back in action, and you can “direct” your actions by initiating what you’ve been reflecting on during the retrograde phase: buy that new car or computer, have that important talk, sign the contract. If you’ve done your retrograde work, this can be a very rich and rewarding time. 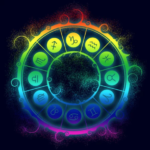 If you want to know how Mercury retrograde can help you, get in touch and make an date for an Evolutionary Astrology reading. Meanwhile, following are the retro dates for 2010.